Armagh City, Banbridge and Craigavon Borough Council is pleased to announce the launch of its Coach Education and Club Development Programme for 2017-18 which offers development opportunities for coaches and those involved in running a sports club. Lord Mayor of Armagh City, Banbridge and Craigavon, Alderman Gareth Wilson said: “I am delighted to officially launch the Armagh City, Banbridge and Craigavon Borough Council Coach Education and Club Development Programme 2017-18. As a Council we recognise the valuable contribution made by our clubs, coaches and volunteers in the development of our athletes and local clubs across the Borough. With such a wide range of workshops on offer there is something relevant and innovative for coaches at all levels to support their development and ensure that the clubs within the Borough continue to excel”. This year’s programme offers a mixture of workshops including the minimum operating standards workshops such as Safeguarding Children and Young People, Designated Officer and First Aid training, with specialised workshops on Automatic External Debrillation and Anaphylaxis and Auto Injector. Stephen Moreton of Tigger Movement will deliver a ‘Marketing your Club on Social Media’ course which will explore how digital marketing and social media can be used to benefit your club. Through the use of pracitical examples clubs will be able to immediately implement his ideas. Jane Clenaghan of Vital Nutrition will present a Workshop entitled ‘Nutrition for Optimum Sports Performance’ which will focus on eating for engery, nutrition for recovery, managing DOMS and reducing injury risk, and effective and efficient hydration. Jane will also highlight why antioxidants are essential for sport and how gut health is impaired with intensive exercise. 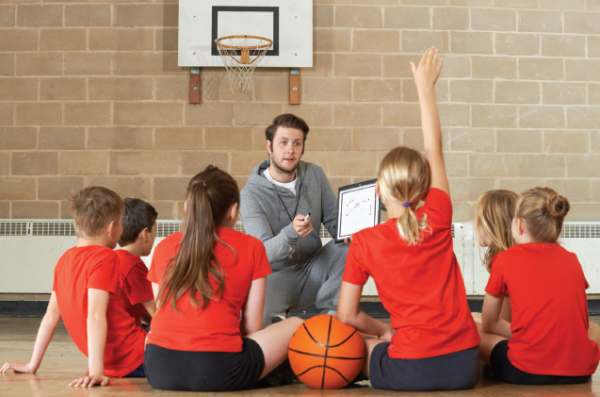 For those looking a more practically based course a numer of options are available including Disability Awareness Training; Positive Behaviour Management in Sport and Delivering Enegaging Session for Young People. The programme also offers the Sport Northern Ireland Club Leaders NI workshop ‘Effective Organisatioanl Structures’ which will look at the Commuity Amateur Sports Club or Chairty status of a club which is now a legal requirement for a club to be registered as one or the other. To request a copy of the brochure please contact Sarah Aiken, Sports Development Assistant, T: 028 4066 0637 or Email: *protected email*. Brochures are also available from all council leisure facilites and available to download and book at www.getactiveabc.com.